We stayed at the 5* Iberostar Sabila only a few weeks after it had an extensive refurbishment and we love it! We’ve found a fantastic break away for 2 adults with private transfers to stay in one of their Star Prestige double rooms, with a side sea view, for some winter sun ahead of Christmas. You’ll arrive at Tenerife South Airport and will be whisked to the hotel by private transfer. As a Star Prestige client, you have a dedicated check-in desk and will be served a glass of Champagne while you complete the formalities. You’ll be taken to your room, with your luggage brought up for you. You’ll be staying in a Star Prestige double room with side sea view, for 7 nights on a bed and breakfast basis. On departure day, you’ll check in for your flight at the hotel and your cases will be taken to the aircraft. Your private transfer will take you to the airport, where you’ll be able to breeze through security. 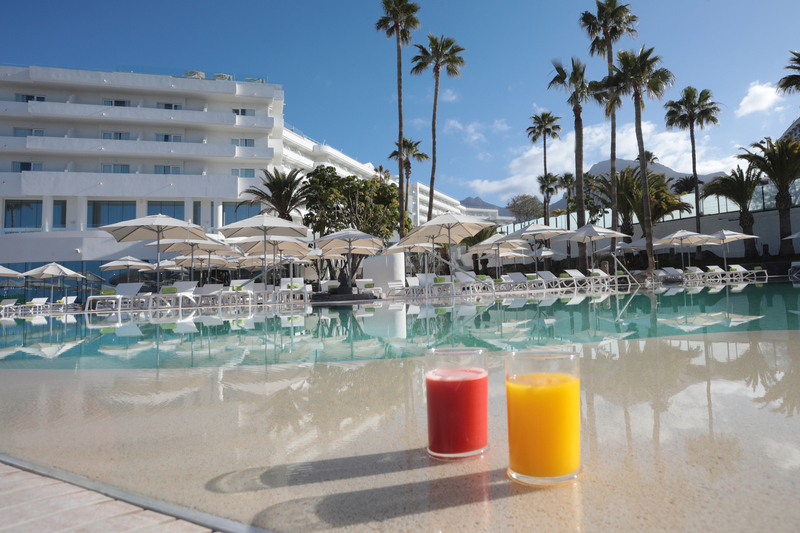 Iberostar Sábila – Adults Only is located on Fañabe Beach on Tenerife’s Costa Adeje. It has large gardens, 3 swimming pools, Balinese beds and a chill-out area. Star Prestige rooms include access to the Star Prestige Lounge with open bar, access to the Star Prestige Terrace with infinity pool, a choice of 2 pillow types, turndown service, complimentary late check out (subject to availability), Nespresso coffee machine with 4 capsules stocked daily, mini bar stocked on arrival and complimentary pool towels. We wouldn’t hesitate to stay in this great 5* hotel again, so call us on 0800 810 8404 or send an enquiry below to get this deal booked!